We appreciate & thank all my friends & Colleague for expressing their confidence in “the Counsellor” India’s First Gynaecological Counselling Centre. I did Graduation and Post Graduation in Gynaecology, from Seth G.S. 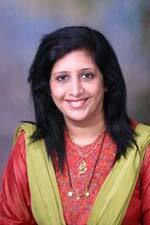 Medical College, KEM Hospital, Mumbai and started private practice in Mumbai since 1992. During my practice I realized that there is more need of counselling patients and their families, along with the treatment. So I decided to incorporate gynaecological counseling into my practice. Hence the bold decision of starting Indias`s First ever Gynaecological Counselling Centre at Santacruz, Mumbaj in the form of " The Counselor ". Through my experience & extensive research, I have designed customized programmes for counseling which has helped tremendous in my practice patients respond to our treatment much better & are better prepared for surgery and eve outcome of infertility treatment are also improved.